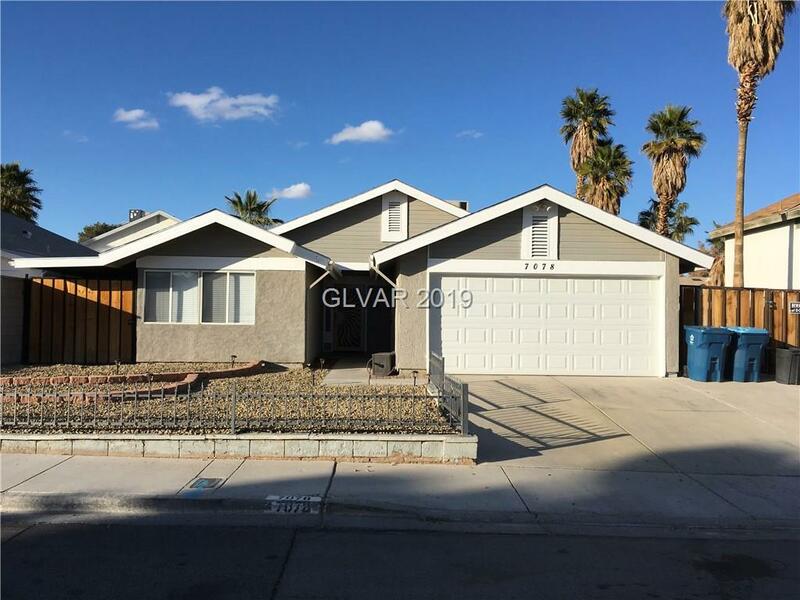 Great single story 3 bedroom home w/ detached 2 car garage & RV parking. Spacious living area w/ custom paint and laminate wood floors throughout w/ access to large backyard & concrete slab. Wood burning fireplace in living room. Open kitchen with dining area that overlooks living area. Tile counters with plenty of cabinet space and access to covered side yard. Directions: Rainbow/Twain; W On Twain, L On Beachwood, L On Mountain Moss. Follow Around To Montcliff, Head Right. House Is On The Left.